The original action figure is back for more thrills and more intrigue, as award-winning writer Steven Grant hits the ground running in this new ongoing series. The reluctant, new Captain Action finds himself fighting a war that the world doesnt realize already has already been lost! 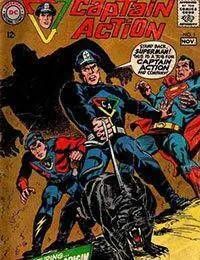 In addition to a full-length Captain Action adventure, readers also get a back-up tale featuring a glimpse into the early days of Action Boy.